There is no denying the convenience of dinner in a bag. 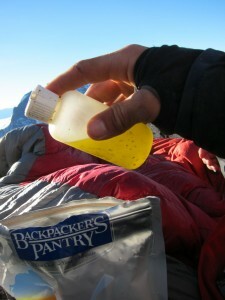 The makers of pre-packaged “backpacker” meals know this, and make ease-of-use a primary selling point. But Snickers or meal-replacement bars are convenient as well, yet we don’t see those being labeled as “diner for two” despite often having nearly as many calories. 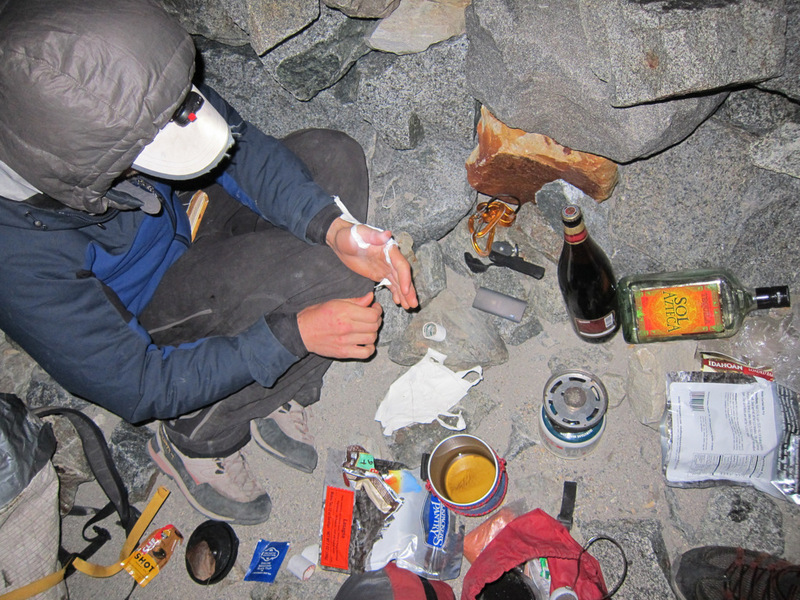 An accepted rule of thumb for maximizing backcountry food efficiency is to stick with products that contain at least 100 calories per ounce, yet many of the expensive freeze-dried meals don’t come close. Rather than spend extra money on a fancy entree that barely qualifies as an appetizer, here are a few do-it-yourself instant meals, with vital stats listed against their prepackaged “equivalents”. All of the following dinners can be done by simply adding boiling water to your ingredients, making each of these Jetboil or Reactor-friendly, and preventing the next morning’s coffee from tasting like Thai curry. It’s clear that your wallet and stomach will be feeling a little empty if you opt for the freeze dried options, but one or two of these packages can be worthwhile. You’ll need an eating bowl in which to cook the do-it-yourself meals, so one great compromise is to take a high-calorie prepackaged meal (or two) for the first night on a multi-night trip. This makes the first night’s dinner less filling, but very convenient, a decent trade for when you aren’t yet running on consecutive days of calorie deficits. Consider upgrading the basic recipe with some additional olive oil, powdered coconut milk, or parmesan. After that first night, save the waterproof pouch and use it for eating everything from morning oatmeal to angel hair pasta (cooked in-pouch by adding boiling water, insulated from cold by stuffing down your coat or sleeping bag). With this plan, the dishes, stove system, and utensils for a team of 2 can easily be refined down to one Jetboil or Reactor, one spork, and a single prepackaged meal. Great ideas for jetboil meals. Protein/fat ratio seems high compared to comparable prepackaged meals – not always a bad thing, but any ideas on cutting down on the fat? why would you want to cut down on fat? These are meals for people that worry about weight because they are actually doing things, where in fat plays a huge part in energy production since itll be used right away anyway. If your worried about to much fat you must not be doing enough to stop your a** from getting fat. Do more. Different people have issues digesting different things. Sometimes if I am not getting much fiber, I don’t like eating allot of fat because it can slow down my digestion. Given that I am often dehydrated while climbing in the winter, a fatty diet exacerbates the problem. Thats why I am also on the lower fat (not no fat) train. Would you talk like that to a stranger’s face? One who is not even being rude? No need to be so grouchy. We have worked out a system for backpacking meals over the years that gives variety without so many ingredients. Each dinner begins with a dried soup (e.g. Nile) served in a plastic mug, followed by a dense dry German sausage (landjaeger) [whose chewiness is VERY satisfying] wrapped in some starch (e.g. whole wheat tortilla or chewy bun — whatever you can find in the town nearest the trailhead. Add variety with condiments — those little packages of ketchup or mustard or hot sauce or pickle relish at fast food places really help. Dessert is something dense and chocolate (favorite is brownies baked with a cup of macadamia nuts per batch for 8inch square pan (rinse nuts briefly to get loose salt off and pat dry before folding into batter)). Drink hot tea after the soup which cleans the mug. No need for a bowl or plate. The only utensil is a spoon. Also a knife to nick the sausage to make it easier to bite into. Breakfast is instant oatmeal (2 packages per person) in the plastic mug, followed by hot tea (which again cleans out the mug). Add a few walnuts to the oatmeal or dried apricots. I think it’s pretty easy to cut down the fat in these recipes. Meal 1: Purchase your tuna in water instead of olive oil. I like adding freeze dried peas for flavor, starch and a little protein. Meal 2: Don’t add cheese or add less cheese. You can also add freeze dried corn or peppers. Meal 3: The coconut cream powder is where the majority of the fat is coming from. Add part coconut cream powder, part milk powder to make it more low fat, or just leave out the coconut cream powder altogether. Hope this helps! Why would you want to cut down on the fat? If you’re trying to lose weight just hike more. Fat is filling and tasty. it seems as though everyone is trying to reinvent the wheel. in the grocery store with the rice and noodles you will find 5 oz packets of pre made meals in a huge variety of flavors. I think they were originally made by knorr but almost every store has their own brand. just add boiling water and let it sit for ten min. and its ready. these things are around a dollar each sometime less and are very good. add tuna or chicken if you want, either way its a filling inexpensive light weight, cost effective meal. the highest calorie per oz food that i’ve found is halvah. it’s 200 cal/oz so makes a great snack in the mtns. it’s made with sesame seed and can be found in many grocery stores, although you may have to ask.